Even brighter than the moon. 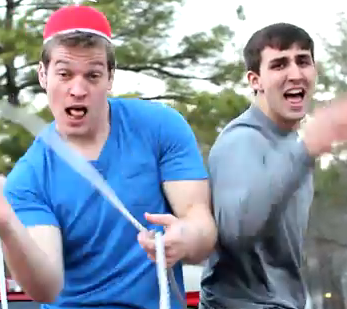 A group of University of Arkansas frat boys have teamed up for an unlikely cover of Katy Perry’s Firework. Boom Boom Boom! We just wish they would have washed their sweatpants before filming. Zing! But for realzies, nice work fellas! Do you ever feel…like these guys did a great job?